We give consultancy to the client through our team of professional for choosing the right machinery for his product, either individual machinery or machineries for the whole project. 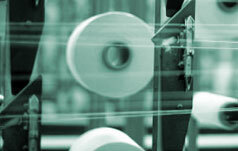 We source new machinery as well as used machinery as per client requirement. If at all client had difficulties in selecting the required machinery. we gave them professional technical advice through our Team of Experts. We carry inspection of selected machinery by client through our technical staff either on site or in warehouse and give our comments for same. No doubt we charge some small professional fees for same. After client has final selection of machine he required. we take the dismantling / reassembling job of all types of machine all over the world.